Implant Dentures are removable teeth. Dentures with dental implants and snap in attachments called locator abutments. Dentists call this solution implant retained locator dentures. Basically a full upper or lower set of natural teeth can be replaced with 2 – 4 implants, a removable denture and zest locator attachments and abutments. Same-day implcan be achieved and a patient will not go without teeth. If teeth need to be removed, teeth implants will normally be placed by Dr. Adams at the same time and a set of teeth will be inserted the day of surgery. It will not be necessary to go without teeth. 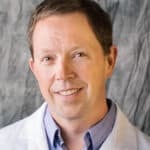 Dr Adams has been an implant specialist for over 15 years and has done thousands of implant teeth. 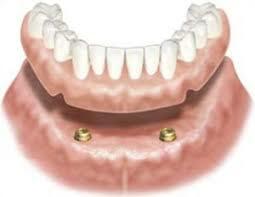 implant dentures are also sometimes called implant locator dentures. The Best way to do implant dentures is 2-4 implants for a full lower set of implant dentures and 4 implants to replace a full set of upper teeth. 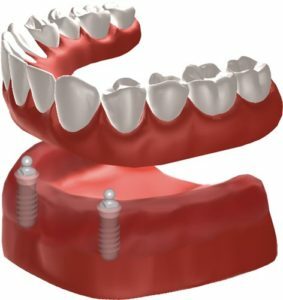 The biggest disadvantage to dentures with tooth implants is they are “removable.” Implant dentures have many advantages. snap on over dentures are removable – being removable can be an advantage. The can be easily cleaned because they can be removed, cleaned and re-inserted. Permanent All on 4 and other permanent full mouth implant teeth need to be cleaned in the mouth. Bridges require special floss and brushes. If a piece of food gets stuck under an implant bridge, it can be irritating and difficult to remove. Dentures are easy to maintain and inexpensive to repair in the event of a breakage. A new set of implant dentures can be made for a small fraction of the cost of a full mouth zirconia or porcelain bridge. Denture patients continue to experience bone loss over time. Especially where there are no implants in the jaw. Locator Dentures require at least bi-annual maintenance where the plastic inserts in the denture attachments need to be replaced. Acrylic is a semi-permeable material and over time will absorb bacteria and food and drink matter. Acrylic will stain, discolor and begin to have a foul smell. Acrylic teeth can break off the denture and need to be replaced. The acrylic denture can break especially if it is not maintained properly. more expensive by far than implant dentures. Likely 2 times as expensive than dentures with implants. Other full mouth dental implants include All on 4 implants and full mouth of individual implants. When only some teeth are missing, implant bridges are a good permanent option. Bone grafting and gum tissue can be managed much more easily with platelet rich fibrin dental implant technique.